Protesters occupied the St. Isaac’s Cathedral (Isaakievskiy Sobor) in St. Petersburg on January 28 after two competing rallies had taken place in the city center. Nearly 2,000 residents protested the decision by city administration to hand over the cathedral to the Russian Orthodox Church and some 100-200 gathered to express the support for the move. 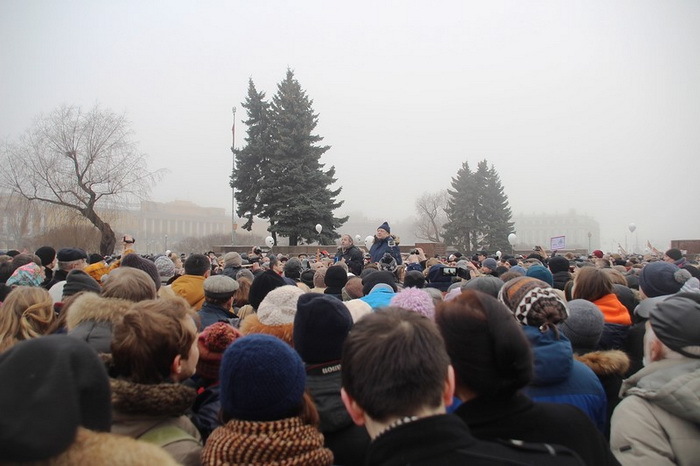 The protesters came into the cathedral after the rally at the Marsovo field in the St. Petersburg center. They bought tickets and paid for an excursion, Fontanka.ru news media outlet reported. After 18.00, when the cathedral closed for a religious service, they refused to leave the building and instead taken out pieces of paper with letters on them. All together the letters read «The museum». They left only after the museum’s employees asked them not to fuel tensions that seem to be on the rise enough already. Built in 1818 — 1858, the Isaac’s cathedral (on the cover photo) is one of the greatest landmarks of St. Petersburg, maybe a bit shadowed by the collection of the Hermitage and the beauty of Peterhof. But in number of visitors it is on the top: last year it drew 3.9 million guests. Now the cathedral operates in two modes: as a museum and a church. Part of the area inside is designed to hold services, it is restricted to tourists and no photos can taken there, this place is solely for religious things. The most of the venue is open for observation, including the colonnade offering an admiring 360-degree view of the downtown of Saint Petersburg. You can see a few photos from the colonnade of the St. Isaac’s Cathedral (the text is in Russian). In early January, St. Petersburg governor Georgy Poltavchenko claimed that the cathedral would be handed over to the Russian Orthodox Church that had asked about it but been refused in 2016. There is no information why the initial decision has been changed, some experts say the process has been initiated by the Kremlin. The Kremlin officially refused to be involved in the issue leaving the dispute to be resolved by the city administration. The decision came as a big surprise and sparked outrage among city residents, including even faithful ones. The Change.org’s petition to leave the cathedral in the hands of the civil authorities and continue running it as a museum, which it has been since 1917, was signed by nearly 200.000 persons. The outrage is getting hotter by numerous scandals that have been emerging in recent years around the Russian Orthodox Church’s activities which caused many Russians to believe that the church is more about making money than religion. Another reason to add fuel to the conflict is that the decision was made without any public discussion. To put it honest, the decision to transfer the cathedral has split the society with many people supporting the move. The points of the parties are simple and clear. The supporters say that the cathedral is a purely religious site and must be returned to the church according to the federal restitution law. The protesters say that the cathedral has never belonged to the church, been built by state and at the expense of the state. They also fear that public access will be restricted to the UNESCO Heritage site and the exhibits will be neglected; the 400-strong museum staff will be fired. The church’s representative claimed the museum’s functions will be running as usually without any changes, with entry being free for anyone, not only for faithful people as is case now. Some big figures joined the play. Mikhail Pyotrovsky, director of the Hermitage and head of the Russian Museums Union, sent an open letter to Patriarch Kirill, head of the Russian Orthodox Church, asking him to quit the plans to takeover the venue. The church, argued Pyotrovsky, has returned a lot of churches and cathedrals to meet its needs in places for religious services. 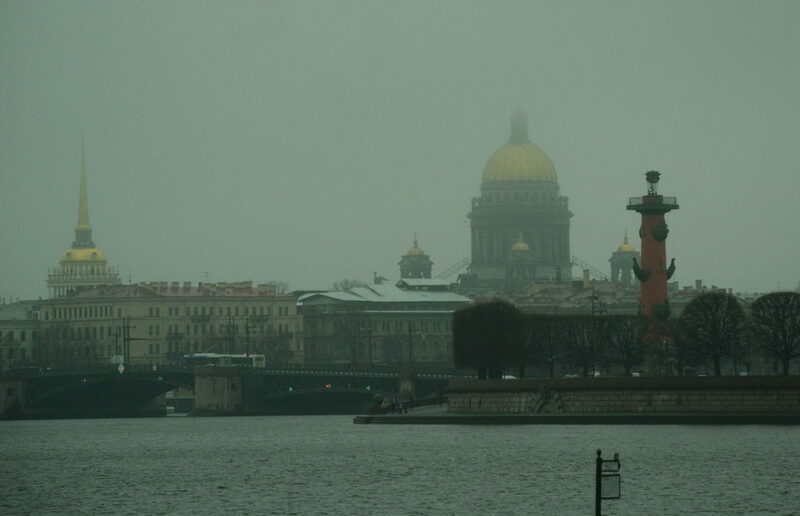 At the same time, the attempt to return the Isaac’s Cathedral doesn’t add peace and calm to the Russian society. The Russian Orthodox Church replied that Mr Pyotrovsky would be better taking care of museum affairs, not religious ones. The protesters and their political support in the face of some prominent politicians are trying to establish a referendum on the issue. Well, it seems to be rather doubtful as the attempt to do the same thing regarding the famous naming of the Akhmat Kadyrov’s bridge failed.